SASFED - The South African Screen Federation: Three local films accepted into Annecy International Animated Film Festival 2016! Three local films accepted into Annecy International Animated Film Festival 2016! South Africans have done it again! Local animation studios have been on tenterhooks for the last few weeks, waiting to find out if their work has been accepted into the Annecy International Animated Film Festival, arguably the world’s most prestigious animation calendar event. Annecy provides opportunities to showcase promising projects at all stages of production, and in past years South Africa has been honoured to have a variety of concepts in development accepted into the market’s highly competitive pitching forums. But the real accolades are reserved for the completed films screened as part of Annecy’s “official selection”, and with no fewer than three films accepted into competition in various categories this year, South Africa has demonstrated its coming of age in the global industry in no uncertain terms. First and foremost is STICK MAN, the half-hour Christmas Special created by Triggerfish Animation and UK’s Magic Light Pictures for the BBC. Screened on Christmas Day in the UK, this stop-motion-style 3D piece is based on the well-loved children’s book by Julia Donaldson. 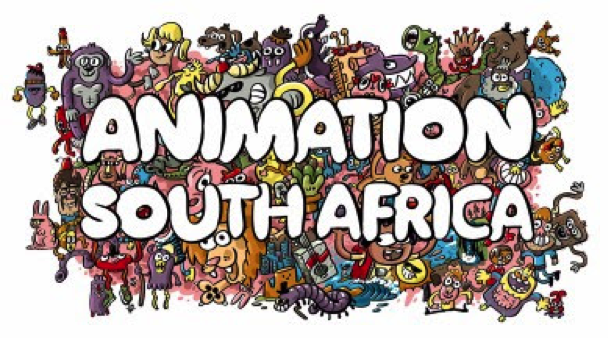 “The Triggerfish team are thrilled that STICK MAN is following the tradition of the previous Magic Light films in being selected for Annecy,” said South African co-director Daniel Snaddon, who helmed the project along with London-based director Jeroen Jaspaert. “It's a huge honour to be screened alongside entries from Cartoon Network, Dreamworks and Stoopid Buddy Stoodios (ROBOT CHICKEN) to name a few,” he adds. It’s an unusually crowded field for STICK MAN, which will go head to head with 25 other entries in the Best TV Film category. In the Graduation Film category, a short entitled ARID has made industry history as the first African student film to be invited into Annecy. Created at Cape Town’s Animation School and directed by Charl van der Merwe, the short tells an evocative tale of a boy and a mysterious bull on a journey in the wilderness. The team were “quite amazed” to hear the news, says Van der Merwe, although he reveals that they had hoped for a good international reaction given the hard work they put into developing a unique African look. “Locally people are used to seeing something African, but it’s new and exotic overseas,” he says – a sentiment that will give hope to many future entrants from our continent. All three local directors hope to represent their projects in person at Annecy later this year. Animation SA is thrilled to support these three unique films as they embark on new adventures on the international stage. For the Annecy Festival Programme click here.